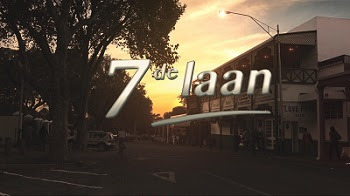 TV with Thinus: SABC2's 7de Laan holding open casting call; looking for anybody in Port Elizabeth, Bloemfontein and Kimberley to join the Afrikaans weekday soap. SABC2's 7de Laan holding open casting call; looking for anybody in Port Elizabeth, Bloemfontein and Kimberley to join the Afrikaans weekday soap. SABC2's 7de Laan soap is having an open casting call, looking for absolutely anybody. People have until 13 July to email oudisies@sewendelaan.co.za with the show that will be holding open auditions in Port Elizabeth, Bloemfontein and Kimberley for new faces to join the Danie Odendaal Productions weekday soap. The show is specifically looking for people who can act from these areas and who are between the ages of 25 and 35. According to 7de Laan, "if you've always wanted to be on the show" you can now apply to realise your soap star dreams. People need to email their CV, the languages they speak and how well, along with a full length photo and a portrait photo to the producers.